Roughly one-fourth of social media shares are food marketing related. Big brands have understood this and added social media to their content plan to generate online engagement and bring more customers through the door at their business locations (especially if you’re a hipster restaurant or a T-shirt printing company, like us). Instagram and other image sharing platforms are dominated by food marketing. It’s a no-brainer that a very effective and popular way to promote your business or restaurant on social channels is with attractive, delicious-looking photos to install salivating, craving and growling stomachs in your audience. Visual content is among the most consumed and shared types of media, and you will need palate-pleasing pictures for your website and social media outlets to attract hungry eyes. But beware, quality photos are harder to snap than you might think. If you can’t hire a professional foodie snapper, at least follow these Food Photography Tips and the guide on How To Take a Perfect Food Photo. Looking for mouth-watering words to spice up your menu, caption your images and write compelling copy for social media? Choose the right words to showcase your food on the page and whet the appetite of customers. We’ve already established it, Instagram marketing is a given for your food business. But meet your audience and customers on other channels as well: a Facebook business page is complementary to your website and a great place to share positive press. You’ll also need a Twitter account to share discounts and respond to customer questions and complaints. To develop personal relationships with customers on social media, encourage the sharing of their own content. Photo contests, polls about their menu or product favourites and raffles are great measures to populate your pages and streams with content from your customers. A YouTube channel for your business is a great opportunity to further spread your brand and promote highly shareable content. Think about what kind of videos you can produce and share. Consider video recipes or even your own cooking channel, interviews with guests (video testimonials or reviews) and staff, seasonal dishes and highlights, a video tour of your business, tips on cooking, local produce, preparing dishes or guides on how to hold tastings. A YouTube channel is easy to connect to your Google+ page, but make sure to post your videos on all social platforms, your website and your blog. People are lazy, and in today’s world of online presence, ordering in is more common than ever thanks to mobile apps and a rising number of services offering a streamlined ordering process. When your business or restaurant does not have its own delivery service, consider reaching out to more customers by forming a partnership with a delivery service such as Eat24 , Deliveroo, GrubHub, Foodler or Delivery.com, just to name a bunch. Customers research food locations beforehand, so a backing of positive reviews will definitely work in your favour in attracting attention and business. Most platforms allow you to register your business and enter details about it, so it’s necessary that you do this for Yelp, Tripadvisor, Google, Foursquare and as many as you can handle. The customer can and will review you, if you work on your profile or not, so you should be proactive to have review platforms work in your favour rather than against you. Upload pictures, enter the opening hours, location, menu, price range and details such as parking, Wi-Fi, seating etc. Here are more tips on how to attract online reviews. Remember Alex from Target? The teenager and Target employee became an overnight internet sensation when a teenage girl tweeted his picture, which resulted in hundreds of thousands of other teenagers following Alex. Even if you don’t cater to teenagers, the lesson for your business is the human element matters. Pictures of smiling employees serve your reputation, so show off your 5-star barista, happy sous chef or handsome barkeep! Swarm is the counterpart to Foursquare that gamified the customer experience at your business location. The mobile app allows people to check in and compete with your friends. As a business owner, you can make this part of your marketing plan. Monitor your customers and offer coupons, promotions and rewards for loyal customers. Other loyalty programs for foodies include Belly, flok, Perka and LevelUp. If you absolutely cannot do it digitally, go retro and use punch cards to show you value customers and reward their loyalty. Now let’s take a look at some popular brands and how they use food to advertise their business. While social streams and feeds are cluttered with food pics, people go hungry in this world. In a campaign to Make Mobile better, Virgin Mobile promises to help feed those in need. 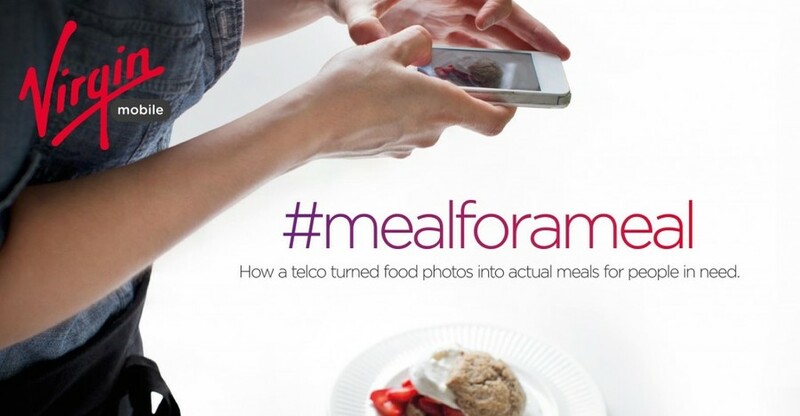 For every food picture posted to Instagram, Facebook or Twitter tagged with #mealforameal, they will deliver a real meal to a person who couldn’t afford it otherwise. Meal for a meal is meant to fight food waste in a partnership with OzHarvest, a charity rescuing excess food which would otherwise end up as trash. For its fortieth anniversary in the UK, fast food giant McDonald’s focused on user-generated stories and nostalgia. On the 40together.com website, users submit their memories by writing or speaking. 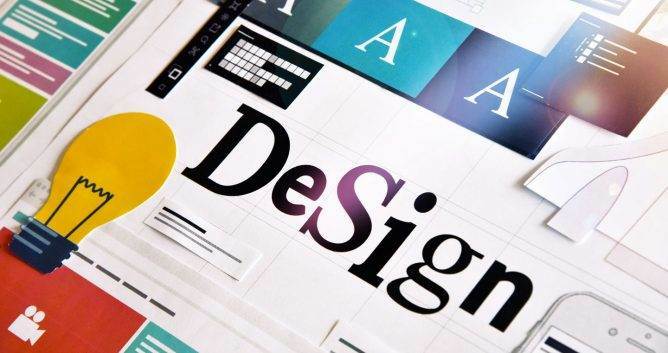 Their words are illustrated with colours, fonts, icons and animation and can be matched to a decade and a product. TV ads depicting milestone moments in people’s lives with McDonald’s food playing a role in each accompanied the campaign. Kraft Foods repositioned its A.1. Original Sauce and dropped “steak” from the label. The point was to show customers that the sauce was more versatile, so they created a Facebook campaign with a video to drive awareness and sales. Their approach was original and creative, using the social network to show that the product was in a relationship with Steak but was open to other friend requests. The beer brand created a mobile experience with a promotion to buy a friend a beer. The objective was to make Budweiser more relevant to young consumers who might perceive the brand as dated. To drive awareness, traffic and sales, they connected the online and offline. Though we spend more time with online friends, buying a beer for a buddy is a real thing if you redeem your drink at your local bar. With millions of media impressions and a lift of in-bar sales from customers, the campaign was a success. Fast food chains periodically self-items on their menu, only to bring them back later and drive consumers to their locations. Social media seems ideal for marketing these campaigns, and Burger King is indeed king when it comes to viral strategy. 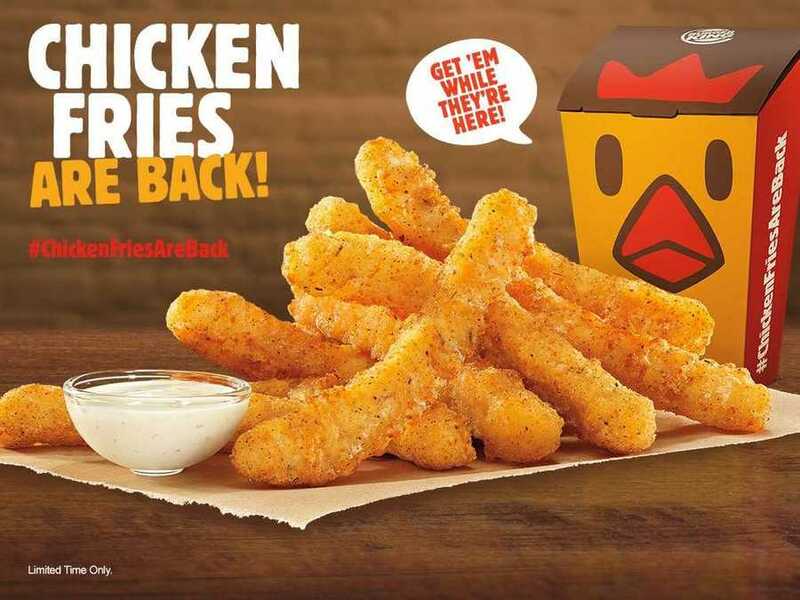 When “chicken fries” started getting considerable mentions on social channels in January 2015, the company reacted and made a decision to bring back the food. With the hashtag #chickenfriesareback and presence on Tumblr, Snapchat, Facebook, Twitter and Instagram, it was their most social initiative so far, averaging 380 tweets a minute and getting 150,000 total mentions on social media in the first 72 hours of the campaign. Printsome is a T-shirt printing company offering from printed T-shirts in Bedford to custom jumpers in Poole, and everywhere else in the UK. For a quick quote personalised hoodies or simply a friendly chat about food, get in touch!